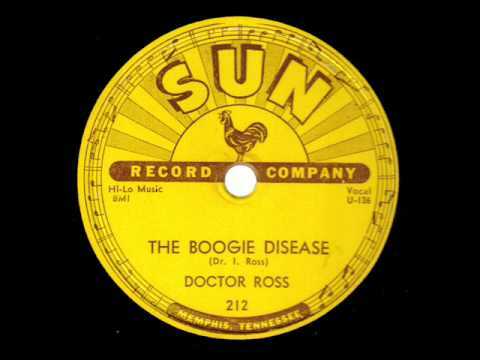 You got some of that boogie disease medicine? Well, Doctor Ross sure does. This new entry to Bear Family’s long line of encyclopedic anthologies introduces the early years of Doctor Ross, before he was one of many plucked up in the ‘60s folk and blues revival to tour the festival circuit. The majority of the songs on this album are from his revival years (the ‘60s and ‘70s), but some of the best come from Ross’s time recording for Sun Records in the early ‘50s. There’s a great live feel to these recordings, or perhaps more accurately, alive feeling. Most of the songs are just Ross on guitar and harmonica, occasionally with some steadying percussion. Listening to songs like “Chicago Breakdown” creates a real visceral feeling of place, you feel the stickiness of a crowded juke joint, the constant brushes of other dancers, the sounds and smells of a good time, while a single man on a makeshift stage just wails away. 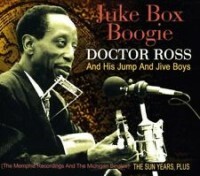 Juke Box Boogie isn’t necessarily a compilation to listen through consecutively, track by track, but that’s because it’s not how these songs were designed. They sound like they should come out of your radio at random, causing you to hoot and hop to your feet. Ross displays a passion tempered by wit and showmanship found in the best club performers, making this album a boon to new listeners as well as to completists.